Just because some people see Madison as Milwaukee's redheaded hippy stepchild doesn't mean that it’s not objectively great. The city’s got a lot going for it, including two (yes, two!) big lakes, a world-class Big Ten university, a bevy of excellent beer bars, and the State Capitol building. Madison’s attitude is also refreshingly progressive and inclusive, from the bike lanes to the local music scene -- and since this is Wisconsin, there are plenty of restaurants to keep you fed. There's a lot to see, do, and munch on, so you’d better get started with the greatest hits: Here are the essential events, activities, and things to do that Madison has to offer. 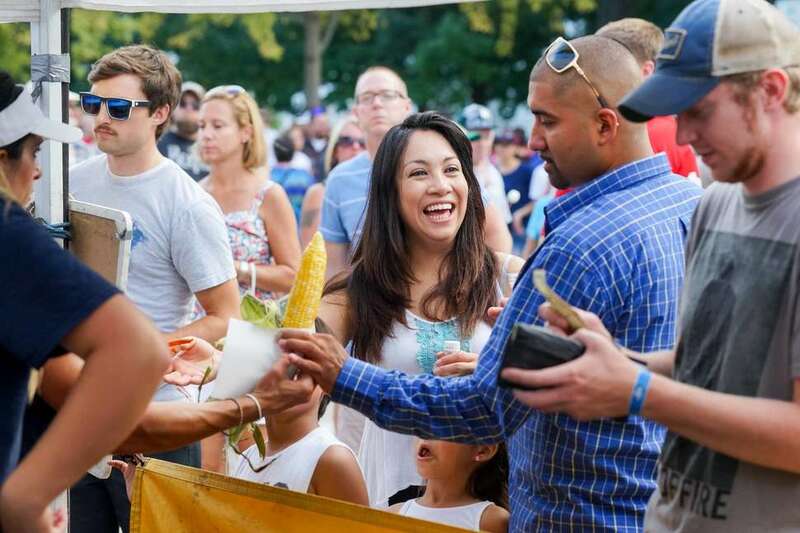 A city that loves to eat and consume alcohol is bound to have a plethora of food- and drink-focused festivals -- and Madison’s no exception. Start things off Memorial Day weekend with Bratfest, which is famously free and (also famously) sells a billion brats. For the beer-obsessed, there's Great Taste of the Midwest, which is notoriously difficult to get tickets to, but is allegedly paradise for the craft beer nerds if you do. 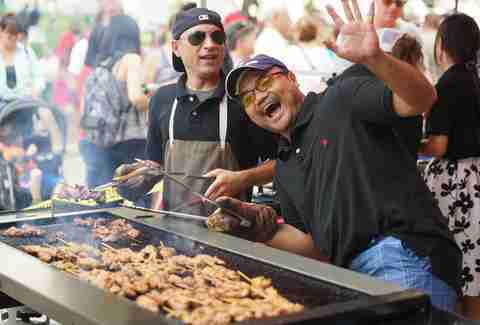 Yum Yum Fest is an upscale food-tasting event, while Taste of Madison packs Capitol Square with food vendors for charity. 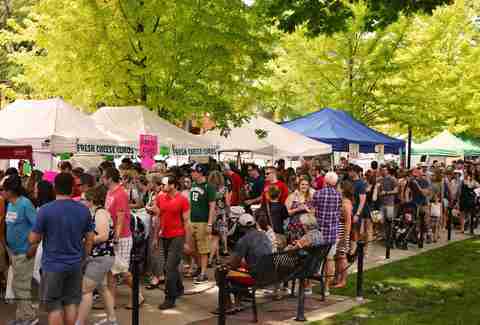 And then there's Craft Beer Week, Bacon and Brews, and Madison's Best Bloody. Basically, if you want a specific food or beverage, we have a festival for it. 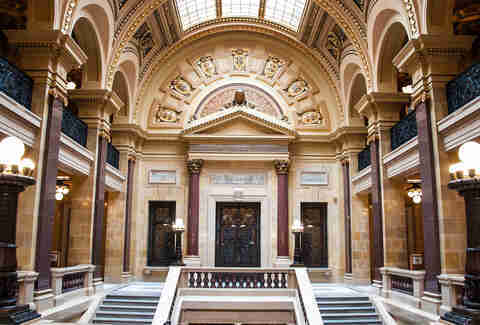 We might not be a huge city, but Madison's museums are mighty. The Madison Museum of Contemporary Art (MMoCA) is located just west of the Capitol on State Street in an eye-catching corner building with a glass facade that offers great views; it's also free, and has a great sculpture garden on the roof. For more free art viewing, head west to the Chazen Museum on campus, which has the second-largest collection of art in the state. If art isn't your thing, try the Wisconsin Historical Museum’s eclectic state heritage exhibits, the Geology Museum’s giant geodes and dinosaur bones, or head to the National Mustard Museum, a truly Wisconsin experience located in the western suburb of Middleton. The history of UW-Madison is long, and so is the history of crowd traditions at Badger sporting events: Head to the Kohl Center for basketball and try to distract the opposing team's free throws with any antics you can. The men's hockey team also plays there, while the women's hockey team plays in the connected LaBahn Arena, and both teams have been top notch lately. 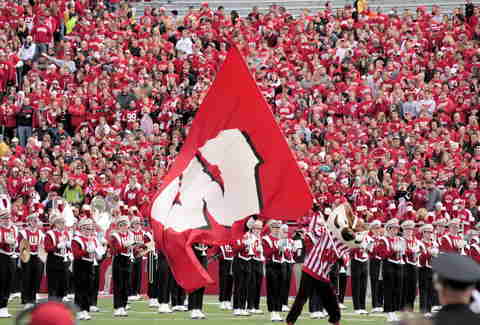 If it's football season, experiencing a game at Camp Randall with its Jump Around tradition, fifth quarter by the marching band, complicated wave patterns, and "colorful" chants by the student section, is a must. If you can't score actual tickets to the game, no worries, because the tailgate atmosphere at bars and in the street (especially along Regent Street) is often even better than going into the game. The Overture Center for the Arts is home to 10 different companies, from theater to dance, and it's where you'll get to enjoy the Madison Opera, Madison Ballet, and the Wisconsin Chamber Orchestra. The Chamber also plays in the immensely popular Concerts on the Square series each summer, which packs Capitol Square on Wednesday evenings with picnic blankets and office workers who need a break. And since comedy is performing art, too, Comedy on State club hosts nationally touring comedians as well as open mic night every Wednesday with cheap drink specials. If the Capitol is the heart of Madison, UW-Madison is a very close second. 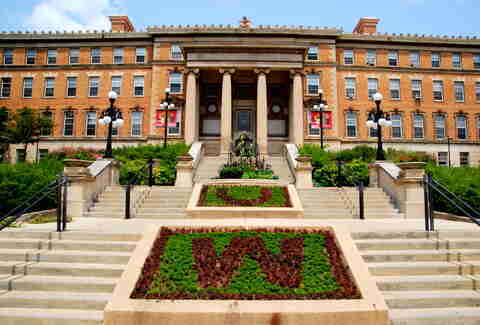 The university is the flagship of the UW system and a world-class institution. Bascom Hill lies at the west end of State Street and is the heart of the school; take a photo with the Abe Lincoln statue or 1,000 pink lawn flamingos, if you're lucky enough to be there during the annual fundraising campaign. Near the bottom of Bascom Hill is the Memorial Union Terrace where you can admire the view of Lake Mendota from its signature sunburst chairs. Head west to the student-run Babcock Hall Dairy Store for fresh Blue Moon ice cream, and if you're a sports fan, feel free to jump around outside of Camp Randall. The Capitol building was built way back in 1907, and it's looking pretty good for a centenarian. The centerpiece of the Capitol is the open rotunda, which is covered in murals and mosaics: The four main mosaics at the base of the dome represent "Legislation," "Justice," "Government," and "Liberty," and at the very top of the dome is a painting of a woman named Wisconsin wrapped in the American flag (because paintings can never be too literal). Free tours of the building are offered every day without a reservation, or you can just wander around yourself. Since it's a city with a young population, including some 40,000 college students most of the year, there are plenty of great spots to catch a concert. The Majestic Theatre is located just off the Square and has a pretty packed schedule of national touring artists and local bands; it also hosts a free outdoor concert series, Live on King Street, during the summer. On the other side of the Capitol on State Street is The Orpheum, which was built in the ‘20s and restored and reopened in 2013. There's also the brand new Sylvee, and the smaller (but no less important) High Noon Saloon. Every Saturday from April through early November, countless farmers and other vendors descend on Capitol Square for the Dane County Farmers Market. There are plenty of fresh produce vendors -- many area chefs love to Instagram their hauls -- but you can also get locally made jams, soaps, hot sauce, sourdough bread, and fresh flower bouquets. Most people can't leave without buying spicy cheese bread from the Stella's Bakery stall, or lunch from one of the food carts. Wisconsinites love beer, and in Madison, only the good micro stuff will do. Head directly for the local breweries or their taprooms at Ale Asylum, Karben4, One Barrel, and Parched Eagle. If you'd rather sit down at one bar and try beers from many local breweries in one fell swoop, then just take your pick: HopCat, The Malt House, and Dexter's Pub are all great beer bar options. You may be surprised how great the local beer selection is at just about any local bar, though, so don't discount any spot until you see the tap list. The stereotype is true: Wisconsinites love cheese just as much as beer. 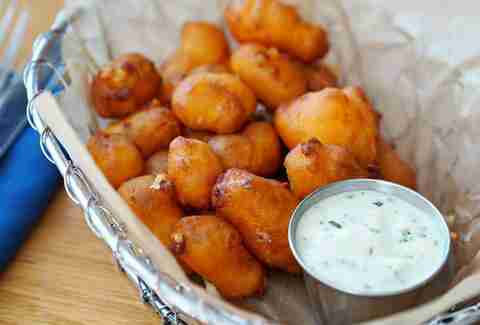 And the two go great together, which is why almost all bars and restaurants serve deep-fried cheese curds. They're usually battered -- sometimes beer-battered, naturally -- and served up with a crispy coating and squeaky inside. All curds are good (because when is fried cheese not good? ), but some of the best can be found at Tipsy Cow, the Curd Girl cart, OSS, and Graze. 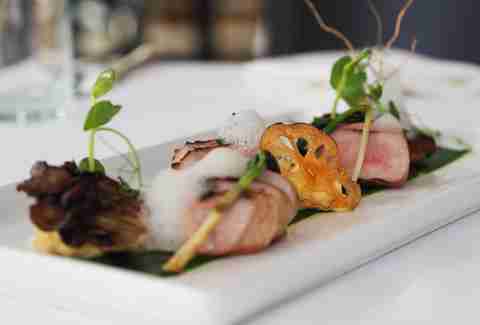 The James Beard Awards are the Oscars of the dining world, and Madison’s restaurants and chefs have won and been nominated many times over the years. The most decorated restaurant is L'Etoile, whose founding chef (Odessa Piper) and current chef (Tory Miller) have both won best chef in the Midwest for their farm-focused menus; you can order dishes a la carte, but the chef's tasting menu will give you a more complete picture of why Miller has won. Other recent nominees include Dan Fox of Heritage Tavern, Francesco Mangano of Osteria Papavero, and Jonathan Hunter of Forequarter. 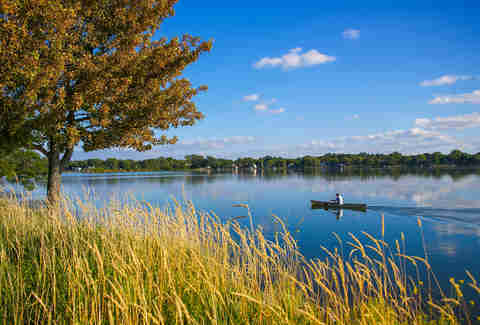 Because Madison is situated on an isthmus between two lakes, nature is never far from anyone's mind. Located in the heart of the city south of Camp Randall is the Henry Vilas Zoo; admission is completely free, and it's got all the big African animals a small zoo needs, plus a number of badgers named after star UW basketball players (of course). For a little more flora, the Olbrich Botanical Gardens offer 16 acres of manicured gardens, along with an indoor conservatory. The serenity garden includes the picturesque Thai pavilion: a gift from the Thai government and one of only four like it outside of Thailand. Oh, and just southeast of the Botanical Gardens is a new beer garden, because nature makes you thirsty. The laid-back, all-inclusive cultural atmosphere of Madison makes for some fantastic international restaurants. Park Street is lined with Asian and Mexican spots, like Double 10 Mini Hot Pot, Taqueria Guadalajara, and Asian Sweet Bakery, and on Willy Street (that's Williamson Street), you'll find fresh Vietnamese at Ha Long Bay and jerk chicken at Jamerica. And no trip around the culinary world is complete without a stop at La Taguara for Venezuelan arepas and tostones (crispy plantains).